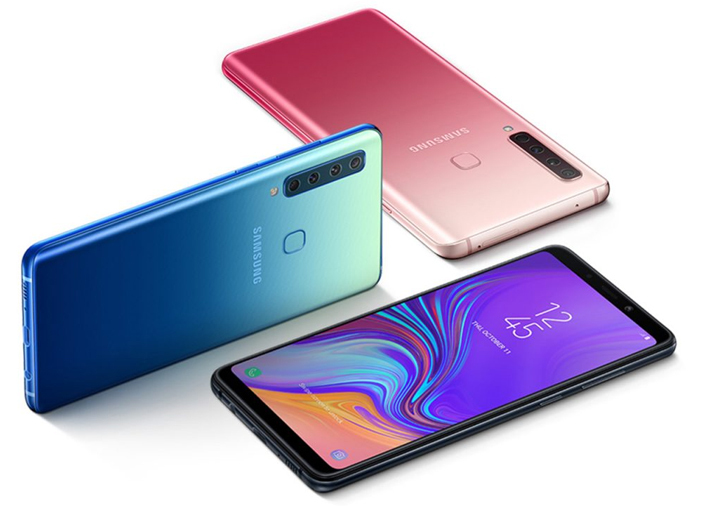 A couple of weeks back, Samsung launched its new smartphone called the Samsung Galaxy A9 (2018) in Kuala Lumpur, Malaysia. A new video of the smartphone has surfaced online which shows the quadruple camera in action. The video reveals how adding a 120-degree ultra wide-angle lens makes a difference in the photo. Additionally, the video also shows the other three sensors in action. 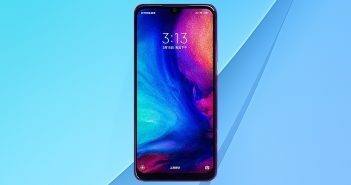 Meanwhile, a latest report states that the phone is expected to launch in India on November 4, while some reports confirm that the phone will launch on November 15 in select markets. The highlight of the phone is that it is the first to feature four cameras on the rear panel. 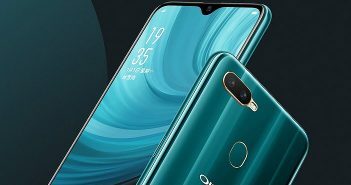 Interestingly, the world’s first smartphone with a quadruple camera setup comes with a mid-range price budget. However, as of now, the company has not revealed the price of the smartphone in India. 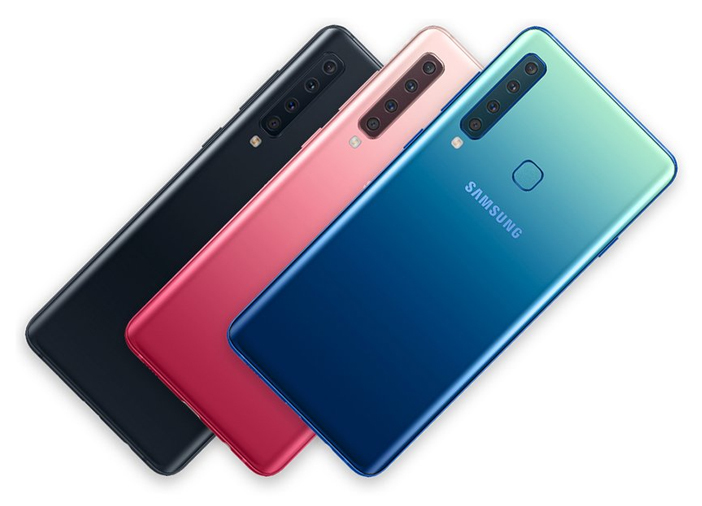 The quadruple camera specifications include a 24-megapixel primary sensor with f/1.7 aperture and LED flash, an 8-megapixel 120 degree ultra wide sensor with f/2.4 aperture, a 10-megapixel wide angle lens with 2x optical zoom and f/2.4 aperture, and a 5-megapixel depth sensor with f/2.2 aperture. The camera setup also includes AI (artificial intelligence) capabilities. On the front, there is a single 24-megapixel camera for selfies and video calling. Other specifications of the smartphone include a 6.3-inch Full HD Super AMOLED display with a screen resolution of 1080 x 2200 pixels. Under the hood, it is powered by Qualcomm Snapdragon 660 processor coupled with 6GB or 8GB of RAM. 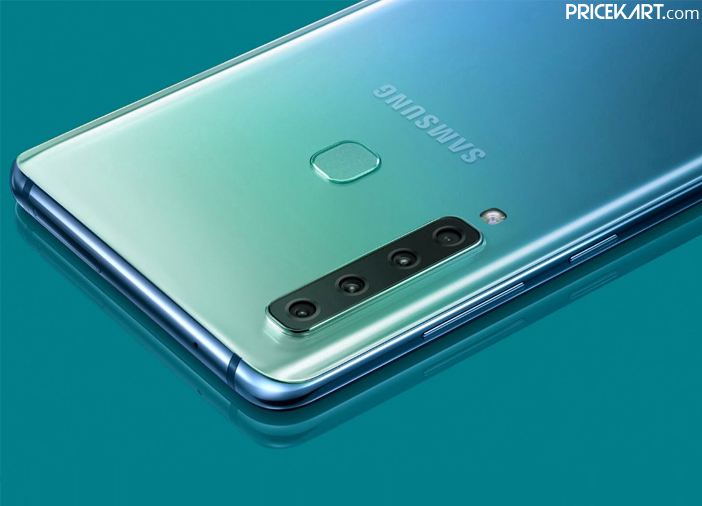 On the storage end, the Samsung Galaxy A9 (2018) smartphone comes with 128GB of internal storage that can be further expandable up to 512GB with a MicroSD card. Furthermore, the smartphone runs on the Android 8.1 Oreo operating system and is fuelled by a 3800mAg battery. The battery comes with support for fast charging. For security, the phone will include a fingerprint scanner and face unlock. 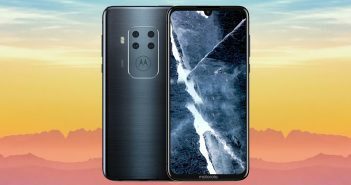 And lastly, connectivity options on the smartphone will include dual band Wi-Fi a/b/g/n/ac, Bluetooth 5.0, 4G VoLTE, NFC, Glonass and much more.